OUTAGE STATUS on March 15th: Restored Service to all areas. If you still have a service problem, please reach out to us in the usual ways. We sincerely apologize to all customers for the inconvenience of a current, ongoing major outage. This outage is only affecting LTE customers. CCI recognizes that being without an internet connection for many hours is extremely frustrating and not what our customers expect from us. This is not the level of reliable service that we pride ourselves on. When we have restored service, we will get back to you. Our Engineering team worked through the night, directly with our service provider, to resolve this issue. The whole team at CCI is focused on restoring service and helping customers re-connect as quickly as possible. Tech Support team is diligently following up on reports of outages. We will update this message when we have more information or with a time that you can expect service to return. We are updating our Facebook and Twitter with service information. Please note that there is a known issue that began around 4pm on Tuesday, March 13. 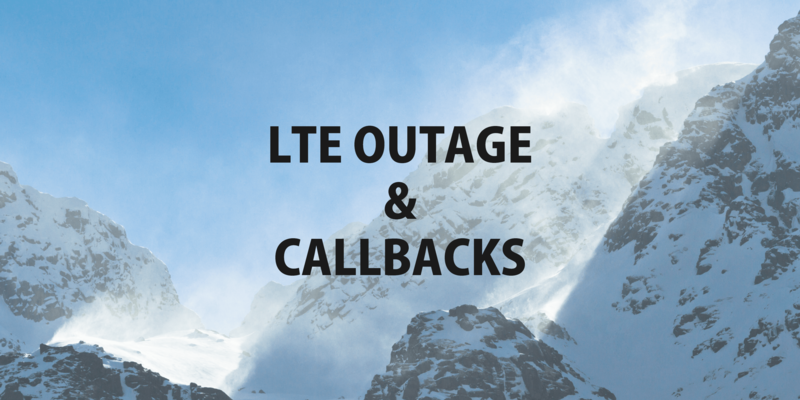 Initially, this caused many LTE customers to have slow and intermittent service and very high call volumes to our Tech Support phone line. Later in the evening, service was cut completely to most affected customers and our call centre reached full capacity, meaning that we had no lines left to ring and customers could not hear our recorded service update. Service was partially restored at 12:45am, March 14. As of 6pm, we are still experiencing slow and intermittent service to many customers. Service should improve around 8pm. If you are experiencing intermittent service or an outage that began during this outage, please assume that this is part of the identified issue and watch for updates on our social media channels. If you had service issues that began before Tuesday, March 13, please wait until we announce that service has been restored and then report the details of your service issue to us as usual. Usually, when you call Tech Support, you have the option to stay on hold, leave a voicemail or leave a callback request to save your place in the queue. We turned off our callback function at about 7:45pm last night. This was done so that you would not expect a callback that we wouldn’t be able to make. If you left a callback request last night, we might have lost that record at that time. If you left a voicemail, we have it and will listen to it this morning. We may not return your call today if we know that you called specifically about the LTE outage.